Laura joined Goodwork Staffing as temporary Staffing Specialist in 2017. Laura knew she wanted to be a part of the Goodwork Staffing family when she was given the opportunity to work alongside the leaders in the company and was able to see that they served as company role models when it came to community outreach. Upon graduating from Cherryville High School, Laura started her recruiting career with a national placement agency in the Kings Mountain area as an On-site Administrative Assistant for one of the agencies largest manufacturing clients. 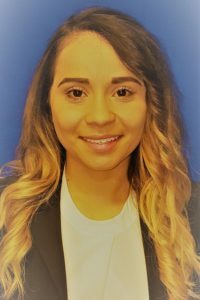 Through her hard work and tenacious attitude, she received the opportunity to serve as the client’s On-site Recruiter and, therefore, kick start her recruiting career. Laura was able to advance her recruitment and compliance techniques as she recruited and onboarded over 100 employees on a seasonal basis. Laura has over five years of recruiting experience and has worked with local Charlotte placement agencies focusing on a wide array of placements from clerical/administrative to manufacturing/light industrial. Laura has had the opportunity of going above and beyond to assist local companies in the Charlotte, Kings Mountain and Gastonia areas find candidates that are looking to build a career and advance their skill set. Laura champions the candidate experience and enjoys assisting and mentoring individuals looking to receive an opportunity in professional growth. Laura knew that being part of the Goodwork Staffing team would allow her to pursue her passion of helping others. In her spare time, Laura enjoys a good workout such as CrossFit, Zumba and other outdoor activities. Laura also has a soft spot for all animals and enjoys time spent with her dogs and horses. By night, Laura is currently a student attending Gaston Community College to finish her Business Management degree to better understand the importance of recruitment from a business perspective. When she is not making the world a better place, you can find Laura either kicking a soccer ball on the field or rooting for her favorite team behind the screen!